1. The most I’ve spent this last week was on gas. A million little trips came up, and often I was too lazy to figure out how to bus it. 2. Today I am thankful for a break through in my research. 3. 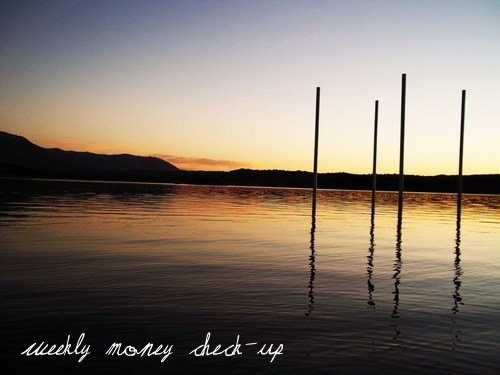 Money can’t buy happiness. One free thing I did last week that made me happy was have a friend over for a glass of wine, some cookie dough and some tv dramas. 4. I will consider this week a success if I finish my analyses. 5. If I could redecorate one room, I would choose my bedroom. I really want to paint the walls, frame some prints etc, but whenever I find the time, I’m short on cash, and vice versa. 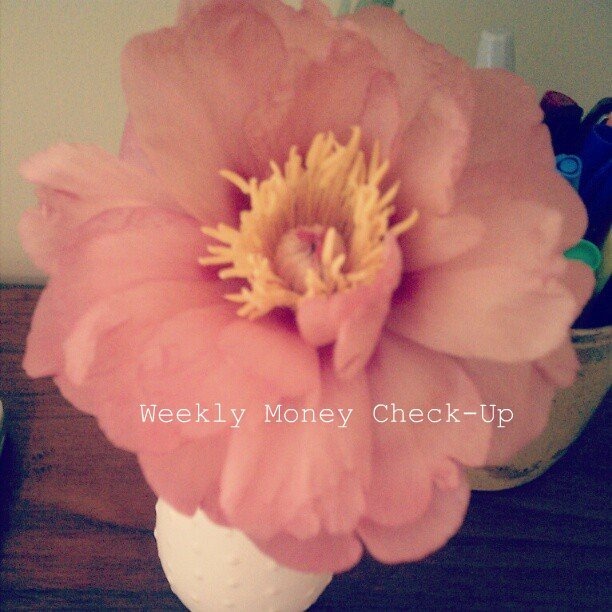 Weekly Money Check-Up is a weekly series created by My Pretty Pennies. 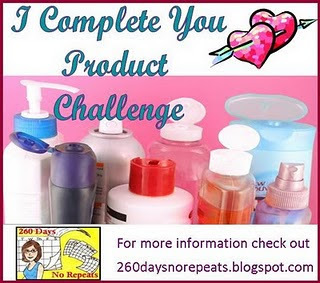 To participate, pleas visit Ginna at My Pretty Pennies! Oh man, this has been an insane week: when I started to write this post, I automatically opened Excel rather than Word. But it’s over with, and I feel I can go back to more of my normal level of craziness next week. One thing I’m particularly excited about is the arrival of May and the start of Bike Month. With the newly gorgeous weather, I can’t wait to get back in the habit of bike commuting. Also, my university is offering prizes for those who register as bike commuters and log in their mileage. 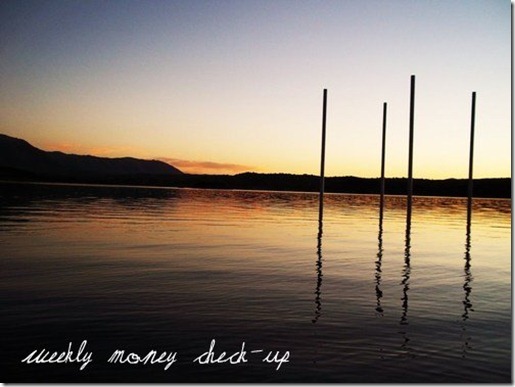 More exercise, save money, less pollution, and prizes? I’m pumped. Anyways, with the beginning of Bike Month, I thought I’d share my essentials for bike commuting longer distances, when you show up at your destination a little less than fresh and sparkling. I’m lucky enough to have a locker room with a shower around the corner from my office, where I keep a set of toiletries and towel. But, when I started, I didn’t have that luxury, and came up with a pretty good system for freshening up in a shared work bathroom in just a few minutes. Let’s start with getting clean. I’d throw a bar of facial soap and a washcloth into a Tupperware container. Use the soap to wash your face (surprise!) and dry off with the washcloth. Next, get that washcloth wet and soapy, and hop into a stall (preferably a large one) and wipe under your arms and any other sweaty area. Wet soap and washcloth can go back in the Tupperware and keep your gym bag from getting too mess-y. A friend of mine swears by baby wipes (bath in a box), but I’m too cheap for disposable products. From there I’d apply fresh deodorant and sprinkle on a little baby powder. Obviously, pack a complete change of clothes and shoes, including underwear. Actually: especially underwear. It’s so much easier to be happy and enthused with fresh underpants. Pack clothes that don’t get wrinkly, or that are supposed to look rumpled. I’ve got limited space in my bike basket between school stuff and my lunch, so I also avoid bulky clothing. Finally, I throw in a small bag with a few key pieces of make-up, jewelry and maybe a headband or scarf. For once this pasty girl doesn’t need blush, but a little pressed powder doesn’t hurt to deal any leftover shine or redness. With lighter hair, I can also run a little baby powder through my bangs and along my roots, and then pull my hair back. If my bangs just don’t want to cooperate, I grab the headband or scarf. All right, y’all, I’m willing to admit when things don’t go exactly as planned. The homemade deodorant I made? It gave me a rash. And rash arm pits really aren’t very fun. I did some googling and determined that other people with sensitive skin have had the same reaction to that recipe, since the baking soda can be a little harsh. They recommended going half and half with cornstarch and baking soda. I didn’t have any cornstarch in my pantry, since I generally hate to cook with it, but I did have baby powder, which these days is mostly made of cornstarch. Apparently cornstarch (or baby powder!) is gentler than baking soda, and actually helps to absorb the moisture while the baking soda eliminates any odor. Also, if you have tea tree oil on hand, it can act as an antibacterial, though the smell is a little medicine-y to me. I’ve been using this new recipe for a month so I can wholeheartedly endorse it to y’all. It keeps me dry and smell- and rash-free. Finally, with the newly arrived hot weather, once the temperature in my apartment hit 80, I opened the container to find deodorant soup, so I’ve moved it to my refrigerator. Now it feels nice and cool and refreshing to apply in the mornings. Melt coconut oil in the microwave. Mix in baking soda, baby powder, and essential oils. Pour mixture into a tin or jar and allow to set overnight. In the morning, rub a little onto your fingers, swipe under your arms, then rinse your fingers off. I know that this is normally the point in the week where I post some kind of hearty and affordable vegetarian main dish. However, as I mentioned yesterday, this week is more than a little crazy for me. Add in a back injury that has me spending most of my time at home trying to type while lying flat on my back, and this week has turned into defrost soup from the freezer kind of week. However, I thought I’d share a staple of my diet. Almost every single morning, I have almond butter and jam on whole grain bread, with a glass of milk and a piece of fruit. I know, my life is a thrill a minute. But hey, it’s got the protein and fiber to get me through to lunch, can be eaten on the go, and since all of it is homemade, makes for a pretty cheap. When I first saw a blog about making your own almond butter, I thought that person had to be insanely domestic. But then I got access to lots of affordable, locally grown almonds and I had to find a use for them. And, I’ve got to say I was amazed by how easy it was and how tasty the end result was. My brother was visiting me and ate the entire batch over one weekend. Preheat oven to 350 F. Spread almonds on a cookie sheet. Cook for 10 minutes, shaking halfway through. When almonds are done, pull out and dump into a food processor. (This is the hardest part.) Process the almonds in long bursts until almonds reach almond buttery texture. I usually turn it on for a minute or two, scrape down the sides, and go at it again. Put in a container with a lid, and store in the refrigerator. Don’t quote me on the shelf life, but I’ve kept jars of this stuff for a month or so, and have always finished it off before I worried about it going bad. 1. The most I’ve spent this last week was on drinks and dessert with a friend. I missed her birthday earlier this month and she realized she missed mine last year, so we treated each other. We walked to our cute historic downtown and ordered ridiculous cocktails and amazing chocolate cake from the fanciest restaurant in town (which is probably not that fancy, but hey, small farm town!) If only that was in my budget for every week. 2. Today I am thankful for a my garden! I’ve got fresh cut roses on my table, the smell of more roses wafting across my front patio, lavender on the back, scads of rosemary, mint and oregano coming out of my garden and the promise of a lot more. 3. Money can’t buy happiness. One free thing I did last week that made me happy was run into an old friend and spent 15 minutes catching up. Last I saw her, she was a newlywed, now she’s pregnant with twins! And babies always make me happy. 4. I will consider this week a success if I meet all my deadlines. This week I’m speaking at a symposium and have a publication deadline for a paper, on top of my usual loads of homework and research. 5. I am currently wearing a blue v neck tee that matches my eyes, a denim pencil skirt, brown ballet flats and a bird pendant. Weekly Money Check-Up is a weekly series on My Pretty Pennies. To participate, please visit Ginna’s blog! Today, I was reading a column in the NY Times about the challenges of going vegan. While, I’m not vegan, as a vegetarian, I have to disagree with a lot of the so-called challenges mentioned in the article. There is absolutely no need to shop at vegan-only stores or buy expensive fake meat. All my food options are available at farmer’s markets and regular grocery stores, and I spend a whopping $100 a month for this. My food philosophy is the simpler, the better, and as a result, I shop mostly on the “edges” of my grocery store. The vegan parts of my diet focuses on fruits and veggies (fresh, frozen, canned and dried), nuts, rice, and beans. In case you haven’t walked down the bean aisle lately, dried beans are incredibly cheap (usually less than $2 per pound), make a ton (I can get 16 servings out of a bag) and are naturally high in fiber and protein. A serious downside of cooking with dried beans, is, well, cooking them. Most of them take an hour or more to cook, and not everybody has the time to deal with that. That’s where my love for lentils really began, since a pot of lentils cooks up in only 20 minutes or so. Also, by serving, they are higher in protein than most other beans. With their smaller size, they don’t suffer from that bean-y texture that a lot of people dislike. Finally, they do great with flavors from a large variety of cultures. This version I think of as my Mediterranean recipe. I serve it along side Greek salads, throw it into marinara to add a protein punch to my spaghetti sauce, and it’s perfectly welcoming to all kinds of root vegetables: potatoes, carrots, celery, fennel, beets, parsnips and turnips. If you want to make it into soup, add 2 more cups of vegetable broth. Heat vegetable oil in a medium sauce pan over medium high heat. Add onion, garlic and ginger and cook until fragrant and soft, about 5 minutes. Add lentils and cook for an additional minute or two, until they are shiny. Add vegetable broth, bring to a simmer, then cook covered until lentils are tender, about 20 minutes. If the cooking liquid gets too low, add more vegetable broth or water. Serves 4.